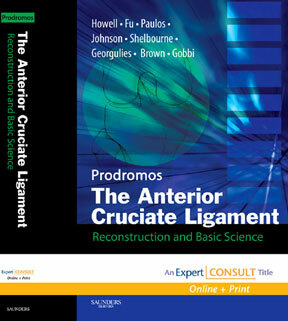 Over 80 chapters covering the full range of important topics relating to ACL injuries and their reconstruction. Accompanying DVDs with over four and a half hours of surgical footage and technique demonstrations. Access to the accompanying website with regularly updated content may also be purchased for a nominal fee. Copyright © 2008 by Saunders, an Imprint of Elsevier Inc .